Text Modules are created to spend less time writing responses. TextModules can include smart variables like the users name or email address. Go to AriticDesk Dashboard > Admin > Manage > Text Module. 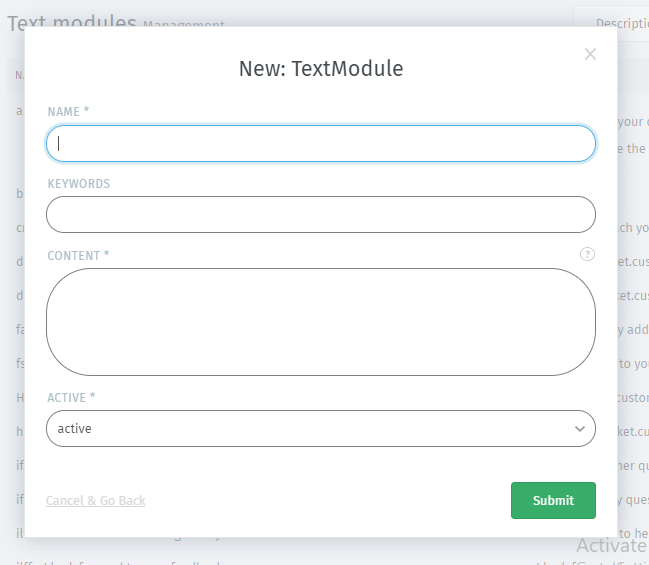 Fill the required fields as Name, Keywords, Content etc..
Now “save” the newly created text module. Of course you can also use multi line snippets. To select placeholders from a list, just enter “::”.